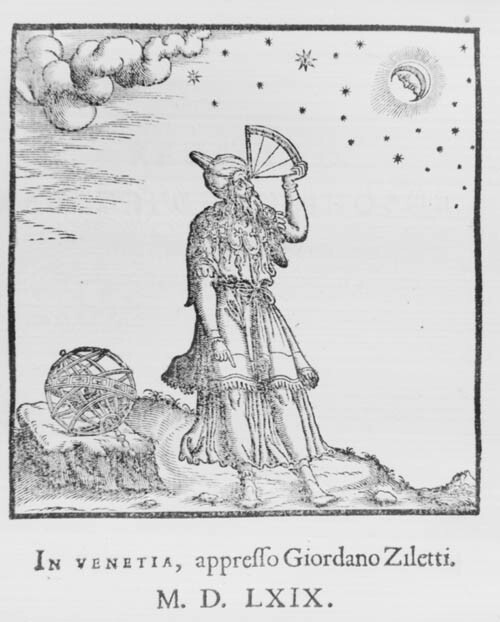 Ptolemy using a quadrant and pointing to the earth, to indicate the dependence of geography on astronomy. Ptolemy's treatise on astrology, the Tetrabiblos, was the most popular astrological work of antiquity and also enjoyed great influence in the Islamic world and the medieval Latin West. 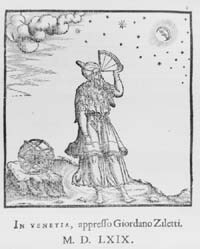 That it did not quite attain the unrivalled status of the Syntaxis was perhaps because it did not cover some popular areas of the subject, particularly 'horary astrology' (interpreting astrological charts for a particular moment to determine the outcome of a course of action to be initiated at that time). The great popularity that the Tetrabiblos did possess might be attributed to its nature as an exposition of the art of astrology and as a compendium of astrological lore, rather than as a manual. It speaks in general terms, avoiding illustrations and details of practice. Ptolemy was concerned to defend astrology by defining its limits, compiling astrological data that he believed was reliable and dismissing practices (such as considering the numerological significance of names) that he believed to be without sound basis. Much of the content of the Tetrabiblos may well have been collected from earlier sources; Ptolemy's achievement was to order his material in a systematic way, showing how the subject could, in his view, be rationalised. It is, indeed, presented as the second part of the study of astronomy of which the Syntaxis was the first, concerned with the influences of the celestial bodies in the sublunar sphere. Thus explanations of a sort are provided for the astrological effects of the planets, based upon their combined effects of heating, cooling, moistening, and drying. Ptolemy's astrological outlook was practical: astrology was like medicine, conjectural, because of the many variable factors to be taken into account: the race, country, upbringing, and so forth, of the individual. Some events are fated, others are not, and some occur as the result of general circumstances, not those of the individual.